What is it with summer and stocking up on all the running gear?! I swear, it's like when I finally have some time on my hands I realize how much I need want new sports bras, running shoes, and sundry accessories. Luckily I had an Amazon gift card to spend recently because it made my summer purchase a little less painful. First, I needed sports bras. We're supposed to get new ones every six months and some of mine are literally years old. I'm small-chested, so when bras lose elasticity it's not a huge deal, but I recently had to toss a handful. I wanted new bras that were cute (because I'm been practicing running without a shirt on - it builds confidence!) and flattering. I like the lower-cut of the Under Armor Mid Sports Bra, and the colors were fun, so I got two. I also got a Champion Great Divide bra and love the neon green! The fit is very flattering, too. 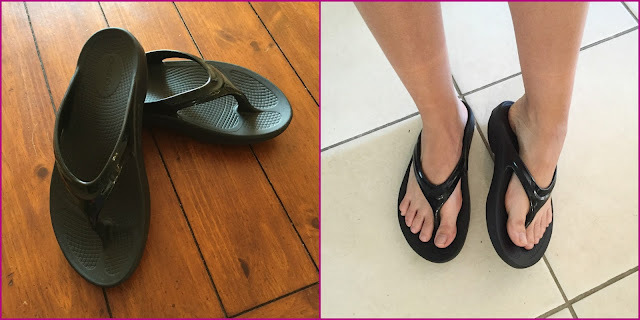 Oofos recovery sandals have been on my "want" list for months but they're pricey; having a gift card made it easier to finally buy them. They are super ugly but really comfortable; I feel like a granny when I wear them. Comfort over fashion here, folks! The Cascade is one of their newer skirts and it is SO cute. I love the pleats! I originally got my FlipBelt in black because I'd never used one before; now that I'm running without a shirt more often and the belt is visible, I thought getting a fun, vibrant color for my second was the way to go. Finally, I saw a couple weeks ago that Road ID is now making IDs that slip onto the Apple Watch. (They also make them for FitBit.) Honestly, we rarely wear our Road ID bracelets because we don't like wearing multiple things on our wrists when working out, and this way we'll always have it on us no matter what. They both include our name, birth year, and emergency contact numbers. I also listed my allergy and medical information on mine, and still had space to write NO REGRETS across the bottom for motivation. I told Matt it would be good for me to have at all times in case there's ever an emergency at school and they need to identify my unconscious body but he didn't find that funny. 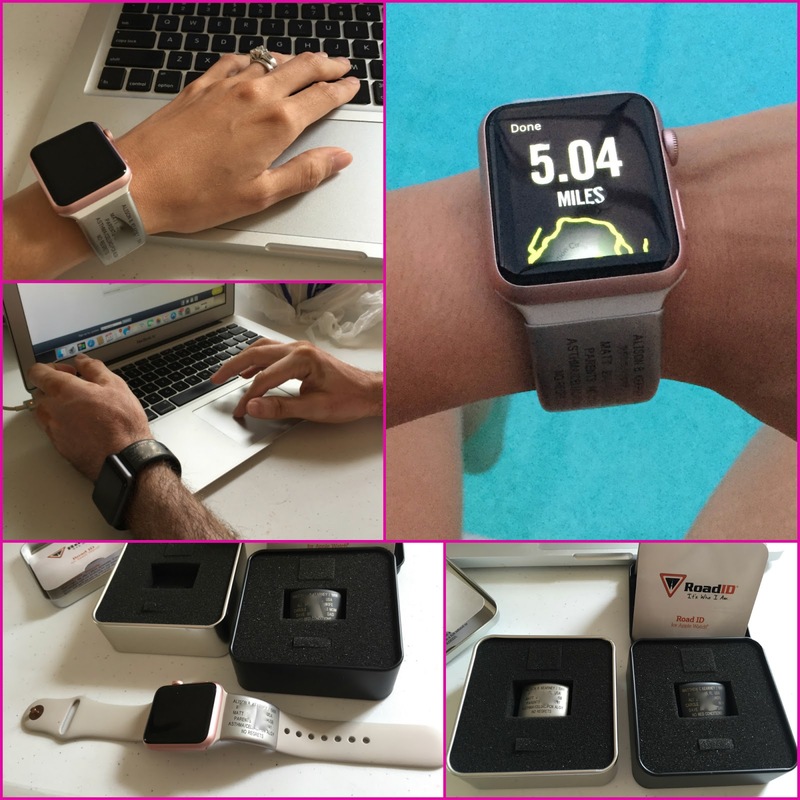 The IDs come in nice metal boxes and fit perfectly on our watchbands. I paid extra to have Matt's done in black because I wanted him to actually agree to wear it; it blends in perfectly. Now I'll be a little less nervous when he's paddling in rough waters. Of course, this isn't it. I've been buying, testing, and returning shoes for weeks now as I continue to look for my perfect new sole-mate. Comparing the fit of my current shoes to the Brooks Ravenna. But that's a post for a different time! 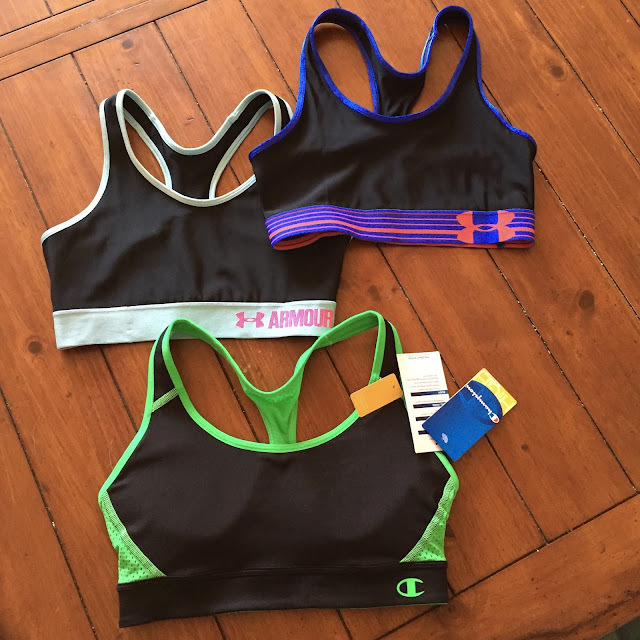 When's the last time you bought new sports bras? What's your favorite running-related thing to buy? 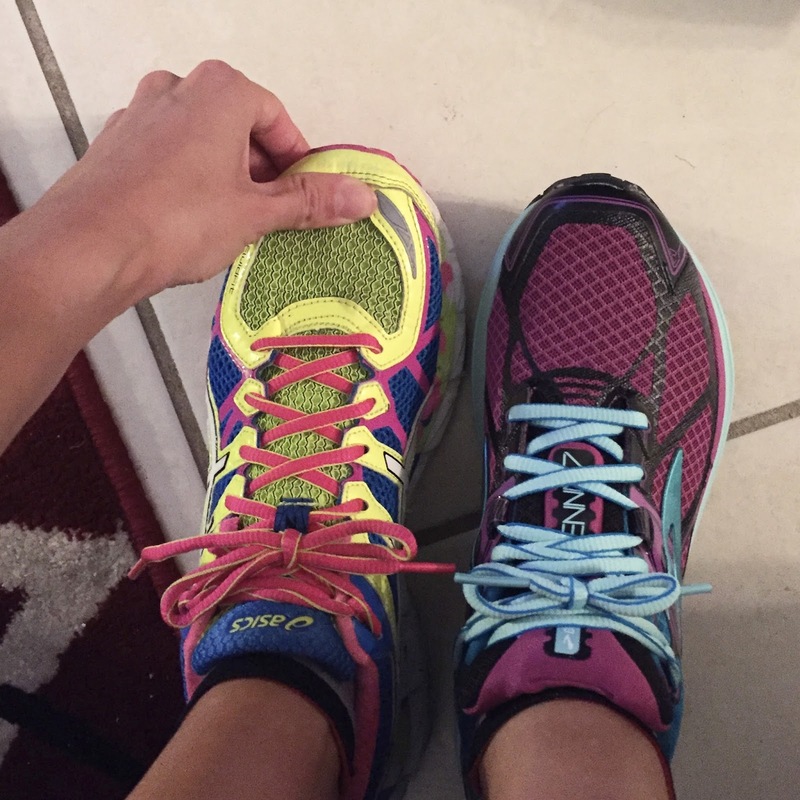 What shoes do you wear when you're not wearing running shoes? Linking up with Erika for TOTR today! I have that same pink flip elt and actually wish I ha purchased the black one instead. That is really cool that Road ID came out with the tags that slip on the watches. I admit I never wear my road ID anymore. I need to get back into that habit again. I like having the option of a FlipBelt that blends in/matches everything and the pink. I agree about Road ID...it's so easy to stop wearing it because we start to feel we won't really need it, but the one time you DO need it could be life or death! 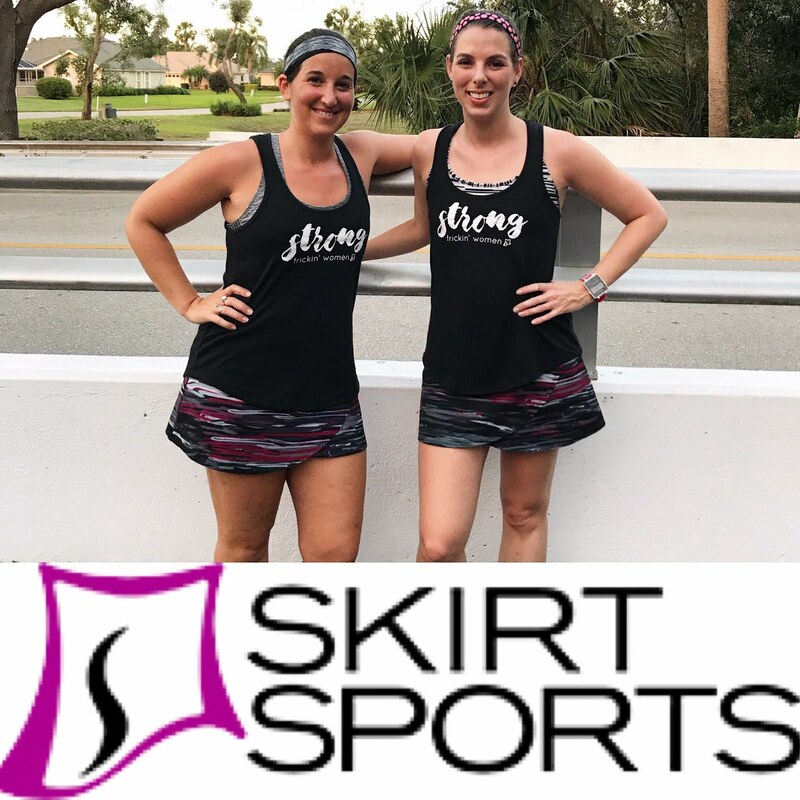 I did buy a skirtsports bra a few months ago & it's my favorite! My others are like yours, really old, but I'm small on top, too. I recently bought some teva sandals, I have a few from Dr. Scholls & Sketchers that I like, too. They're mostly for around the house. I need more cute tanks & skirts, of course! The SS bras are SO snug/supportive, it's actually more than I like! Tevas...oh wow, that takes me back. In middle school they were THE sandal to have. I wear Skechers to school sometimes. I do need some Dr. Scholls! Useful and fun purchases, Ali! WE ARE SUPPOSED TO REPLACE SPORTS BRAS EVERY SIX MONTHS????? Omg. I have one I still wear from college lol. I did get three new ones a couple months ago because my back has gotten bigger and my old ones that aren't as stretchy got really tight on me. And I HATE a tight sports bra. Yeah, apparently sports bras AND regular bras! I honestly cannot recall the last time I bought a new bra. I hate bra shopping SO much because nothing fits! I've always believed bare feet are fine for walking around the house, but what do I know?! Once in awhile mine get sore, so I figured the Oofos would be good for those times. I wonder if it is the same if you are very flat chested? I am seriously an almost A cup. I do not need support, I just need nip coverage! How funny would it be if you just started using pasties?? I don't buy new sports bras because I'm cheap and they're expensive. Haha! I think I bought one a year or two ago? I know that feeling! I do have to say though, Target has some good cheap ones, as does TJ MAXX! I feel like I am getting at the point where I want to buy ALL THE THINGS running related... more workout gear, new shoes, a GPS WATCH! That's a fun point to be at! I am jealous of all your running gear shopping!! 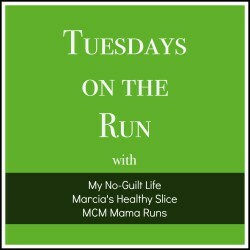 I just heard in the Another Mother Runner Podcast that sport Bras need replaced when shoes are replaced.... ugh! I just got two new ones and threw out two. And with this B size puppies, I can't skip the sportbras. I like how you say you are running without a shirt to build confidence! That is awesome! When I'm not wearing running shoes, at work I wear my ugly comfy shoes, and at home I'm barefoot. Considering how much I spend on everything else, I'm glad I can get away with keeping sports bras for a really long time! I need to find some CUTE comfy shoes for work this summer! Now I'm tempted to do some shopping...I really spend as little as possible on running bras since I am small-chested, but I like the ones you got and it makes me thing I should try to step it up a little bit! I gotta say, the Champion bras from Target are cheap and really nice for smaller chests. I like getting new sports bras because once I'm in them, I realize how bad some of my older ones feel! I had no idea we were supposed to replace sports bras every six month! I keep mine until they lose elasticity and there is too much bouncing! I am in need of a few new ones right now but I am still holding out hope that Sports Authority will eventually reduce them beyond 10% off. I didn't go check last weekend - but I'll definitely go this weekend! Are you loving the oofoos? I think the "supposed to" thing is partially marketing, but maybe that's when elastic starts to give and we just don't notice it yet? Also, depending on how you wash your bras, they may last longer! I know daily-wear bras are supposed to be chucked every 6 months too, but I've had mine for years! The Oofos are very nice, but it's weird to wear such cushiony sandals! I didn't know that about regular bras either! You learn something new every day! I was in the rut of wearing the same shorts on every run too; I finally donated a bunch of old ones so I wouldn't feel bad about buying new ones. I think that was last summer! I keep for sports bras forever. I didn't know that about Road Id. I wear mine but it's just one more band - fitbit, watch, etc. I love my Crocs flipflops -so comfy. The Road ID for FitBit looks really lovely; maybe it's something you'd want to look into! Ah! I love running mail! I am waiting on a new hat and tank in the mail. Should come tomorrow. Honestly, I sometimes need a little less running mail. I probably shop a little too much and all of my clothes are running related. There is something SO fun about getting packages and mail ...and when it's running related, it motivates me to go use my new stuff! I so want a flip belt!!! I have been using a "fit fanny pack" for years and now the zippers won't work on it and my phone doesn't fit in it unless I take the otter box off. I also have an amazon card so I think I am going to purchase it and receive some running mail :) Getting mail is so much fun!! 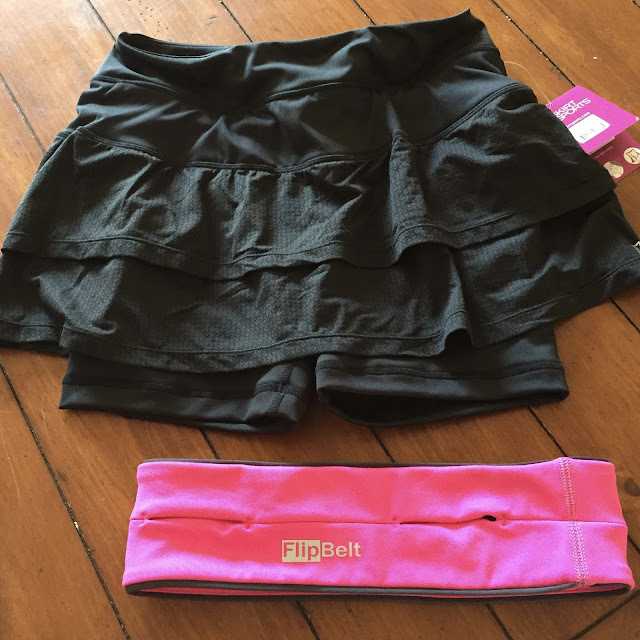 I love the FlipBelt - it took me forever to buy one but now obviously I have two, and I'll never go back to anything else! I gained weight last winter and bought new sports bras for the time being - but otherwise I wear them until they don't feel supportive anymore. Six months, pfft. My RoadID band broke and I haven't replaced it yet (I may also have some in a smaller size floating around but haven't gone hunting for them) - in the meantime I've been carrying my insurance card with me. Not the same, I know, but at least it's something. And when I'm not wearing running shoes I wear Converse or Nike Free. I really want to look into Converse, but I'm not sure if they'll be supportive enough for work!